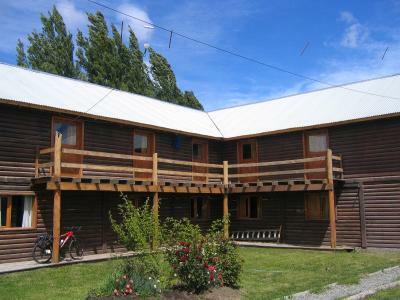 Lock in a great price for Calafate Hostel – rated 8.8 by recent guests! 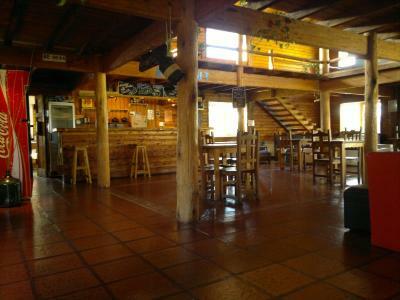 The facilities, common spaces were good and also the restaurant. Also, great location. Reception 24 hours is useful. 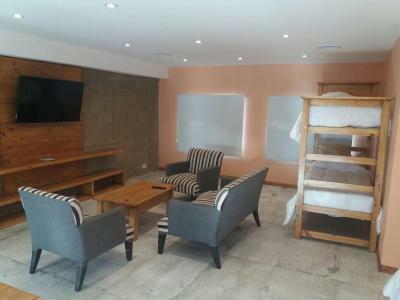 The location was decent, and the beds were alright. 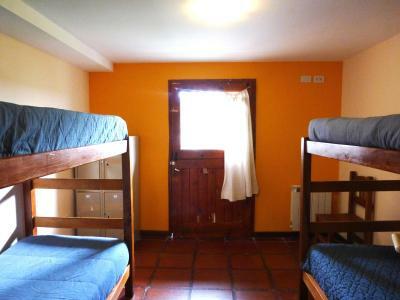 Nice, large hostel with lots of space. 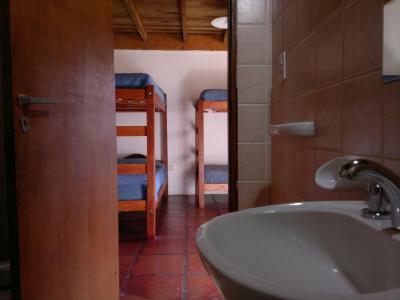 The shared bathrooms were large with plenty of toilets and showers. Huge common area to relax, watch TV, and tables if you want to work at your computer. Very professional attendants. Uncomplicated check in and out. 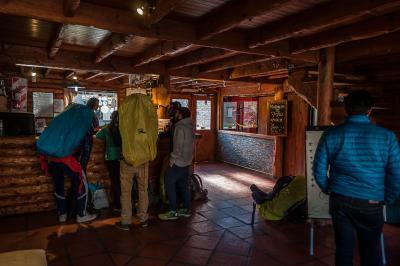 Luggage storage after checkout for those who need to stay a few more hours in Calafate was pretty handy too. 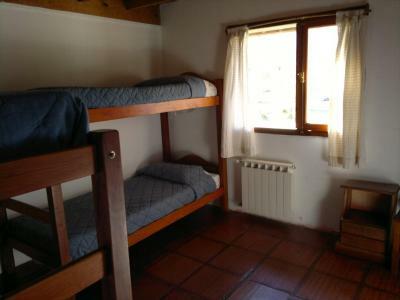 Hostel and hosteria are great. 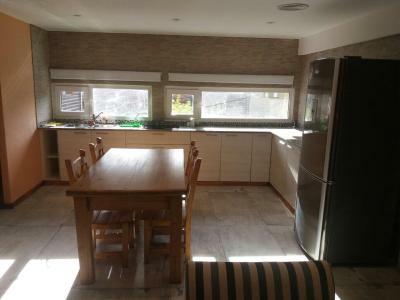 Kitchen is very big. The staff helps with anything you want. The wifi is awesome. the people at the front desk, gave us a lot of help. 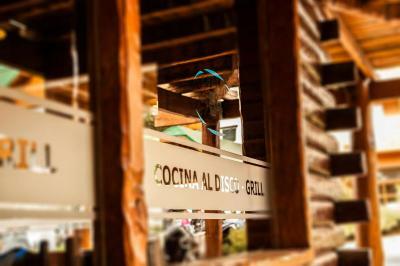 Everything was great, staff very helpful and friendly, nice place to hang out. Just a really cool place to be. Clean bathrooms/toilets and rooms. Great spread of buffet breakfast with delightful pastries. 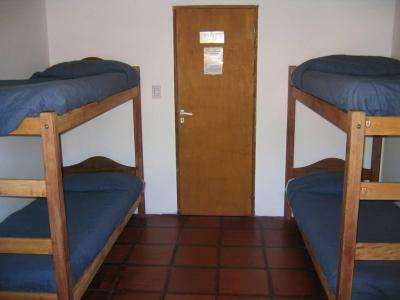 Although the hostel is huge, but noise level are kept low (good soundproofing and thick walls I believe). 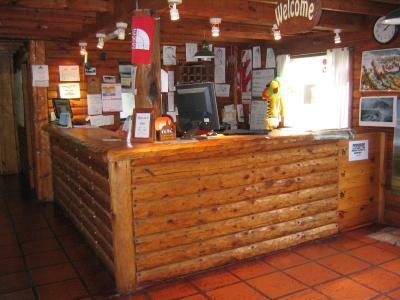 Smooth check-in and check-out, and staff are friendly and helpful. We could use the facilities or common areas after check-out, which was a boon. 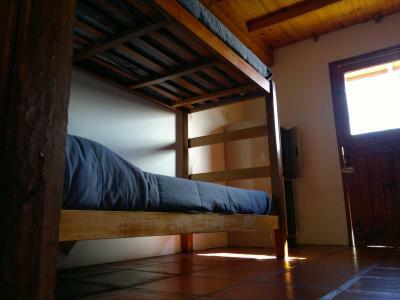 For the price we paid, the accommodation is great value for money and exceeded our expectations. 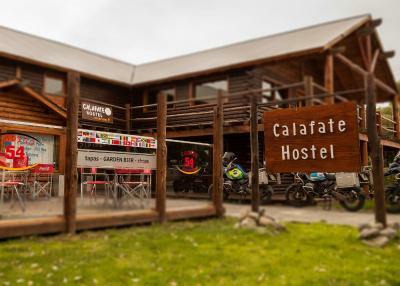 Featuring a fully equipped common kitchen and living room, Calafate Hostel offers free Wi-Fi, Continental breakfast, and 24-hour front desk assistance in El Calafate. 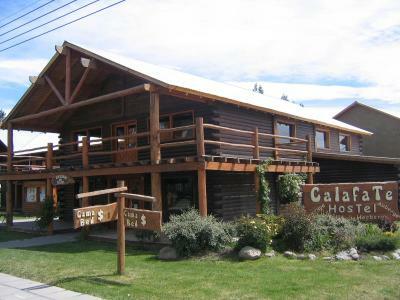 Calafate Hostel features dormitories with shared bathroom facilities and rooms with private bathrooms. Linens and room service are provided. 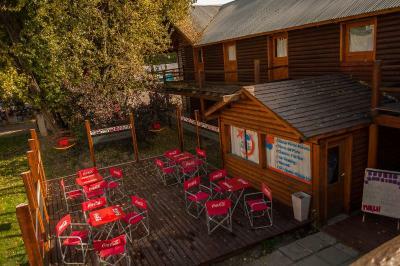 Guests at Calafate Hostel can relax in the garden or order snacks at the bar. Guest get special discounts to various excursions and activities. Perito Moreno glacier is 48 mi away and Roca lake is 31 mi away. Comandante Armando Tola International Airport is 16 mi away. 뀐 Located in the top-rated area in El Calafate, this property has an excellent location score of 9.4! 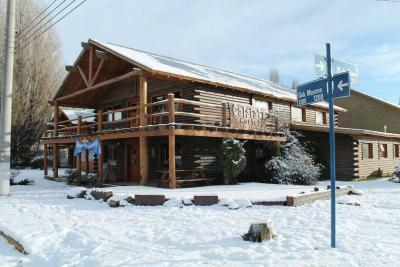 When would you like to stay at Calafate Hostel? 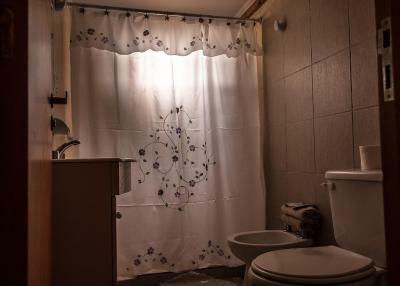 This room features a private bathroom. 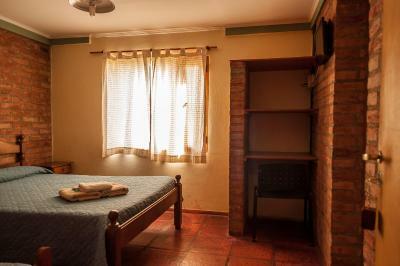 Linens and housekeeping service are provided. 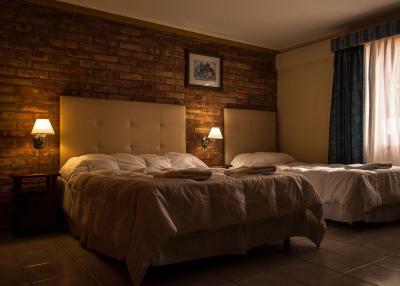 An extra bed can be accommodated for an additional fee. Features shared bathroom facilities. Linens are included. Features shared bathroom facilities. 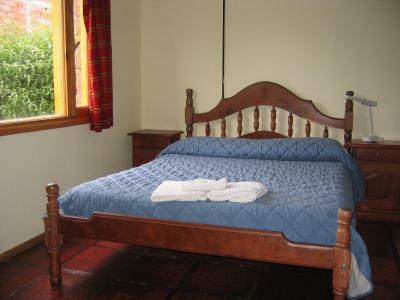 Linens and towels are included. 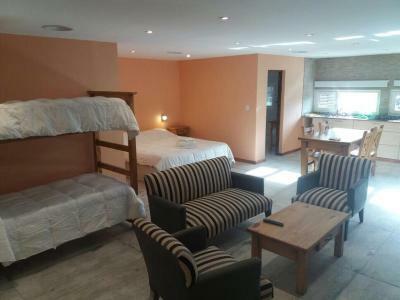 This quadruple room has a balcony, garden view and kitchen. 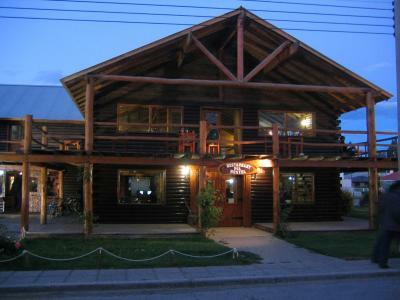 House Rules Calafate Hostel takes special requests – add in the next step! 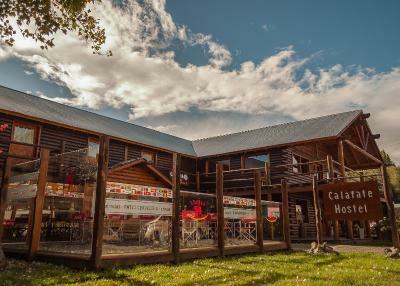 Calafate Hostel accepts these cards and reserves the right to temporarily hold an amount prior to arrival. Rent the towels, they could offer them. It can be added ham and cheese to the breakfast. There were no bedroom amenities. 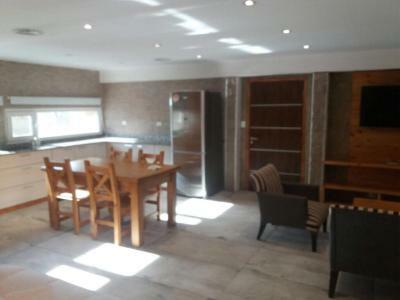 Great location and value for money. 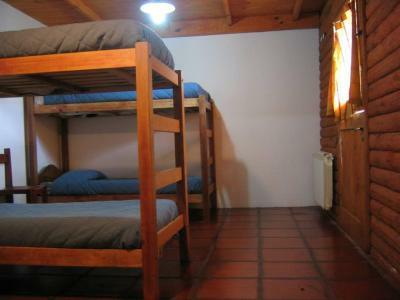 We had a private room, which was more than comfortable base to explore Patagonia. 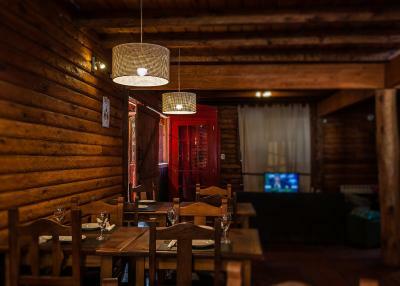 The best part was the staff were so helpful in arranging our trips around the area, I highly recommend the horse riding trek! The breakfast was literally all carbs, nothing but bread and candies. The kitchens were in horrific shape, with barely any supplies, and the dishes were often put back on the shelves dirty. Also, a bunch of my food was stolen during my time there, and I talked to multiple other people who also had food stolen, after several months traveling South America this is the only time this has occurred for me. When I brought this up to the staff they basically did the giant shoulder shrug and pointed to the sign saying they're not responsible. If they put in a couple of cameras it would basically fix all the problems with the kitchens, but it seems as though they are encouraging people to steal. Saying we're not responsible is not an acceptable answer and hopefully at least their customers hold the establishment accountable. The way they issue out keys to dorms is a bit annoying. The last person in the dorm pulls the key and leaves it with staff. I wish everyone just got keys. No locks on the bathroom stalls - what’s up with that? The WiFi was in and out. 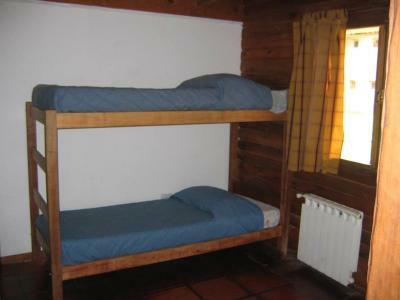 We stayed at the hostel because it had good reviews. 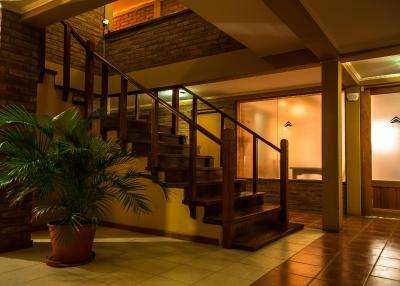 The price of the hostel is pretty expensive and for this price you could stay at a 3 star hostel - but we were planning to travel and the reviews said the hostel is great at helping with that, so we decided to stay there. The rooms were okay and descent. Breakfast very simple- Bread, coffee and jam. But what really bothered us was the horrible attitude of the front desk. There were 2 ladies working the front desk who gave us wrong information, disrespectful treatment and overall a bad experience. There were though, two wonderful guys working the front desk who did manage to help us. I would not recommend to stay there. 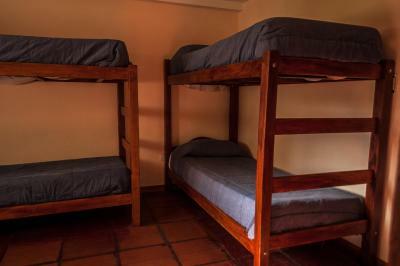 There are much better hostels that could help you with your traveling and for a better value. The mix between hot and cold water on men's shower was tricky. Pillows were awful - really uncomfortable! 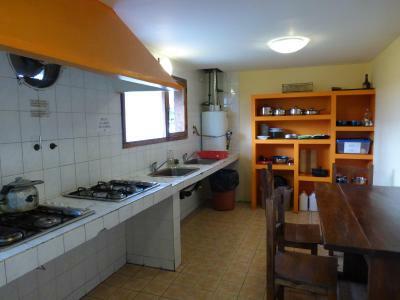 Kitchens were a bit small - would be too small in high season, and oven was out of order. Breakfast was all sweet sugary food. 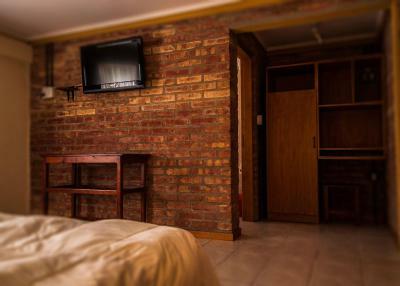 Spacious, clean, comfortable room. 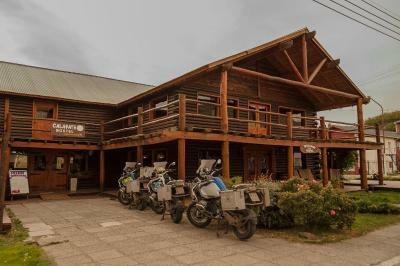 Good shower and excellent wi-fi (best we've had in Patagonia). Mostly quiet apart from some noisy guests in the corridor on our last night. Central location for town, and about 25-minute walk to the bus station. 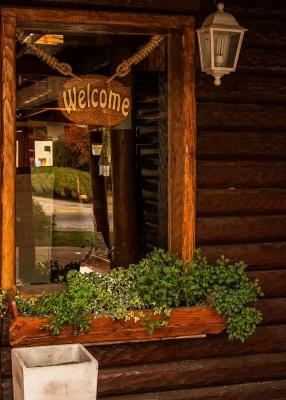 Staff were all friendly and helpful. Good value for the price, especially with breakfast included - in the 'exclusive' rooms felt more like a small hotel than a hostel. Street noise can sometimes be loud. Breakfast could have had more variety. 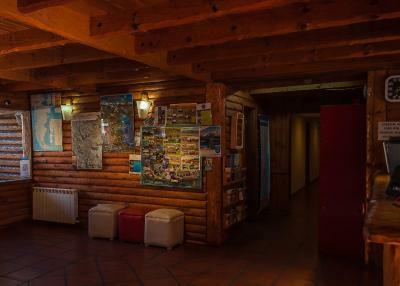 Helpful, friendly staff and they can help with tours to the glacier and airport, bus picks you up from hostel. 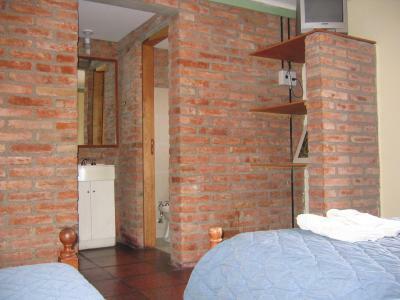 Great location near to good restaurants, laundry, supermarket and 2 blocks from Main Street. Included breakfast was good. Room was very nice, had towels and cleaner came everyday. 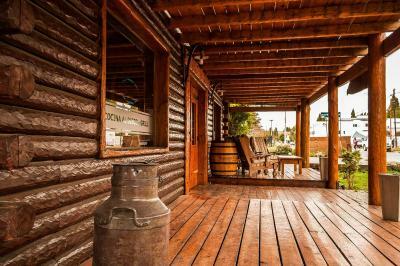 Nice outdoor area. The kitchen should get an upgrade. There is no oven (that works) and no bowls. 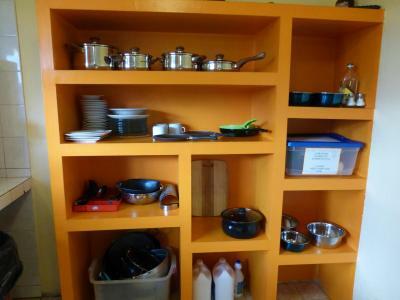 The pans are very dirty and cant be used. 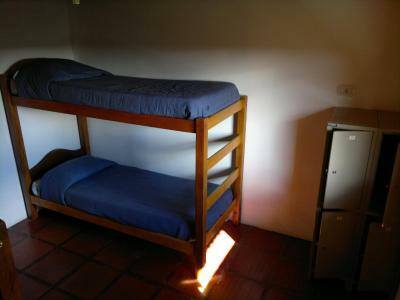 the room was a bit small, beds not quite comfortable especially if you are sleeping in the upper bunk. 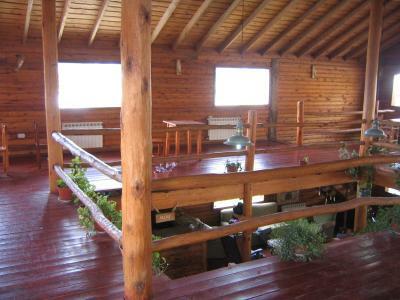 Large communial area to meet other travellers. Good breakfast. Staff were friendly. Kitchen area was well equipped. Breakfast was very basic and far too sweet!! Would be nice to get meat and cheese to go with the stale bread on offer.